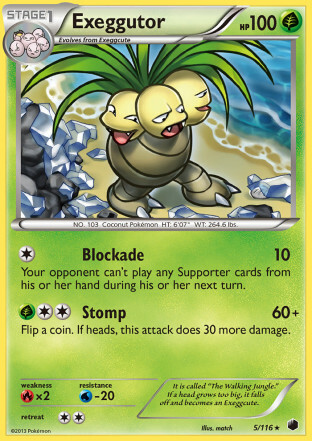 Headed into week 4 of State Championships one of the top decks on everyone’s minds is Exeggutor, a new lock deck that has been making some ripples during the first three weekends of State Championships. Having won multiple State Championships now, Exeggutor is a deck that players may need to take stock of if they want to do well in the final week of the tournament series. This article will look at different things you can do to improve your matchup against Exeggutor decks. Normally, a deck like Eggs is something you wouldn’t necessarily worry too much about. 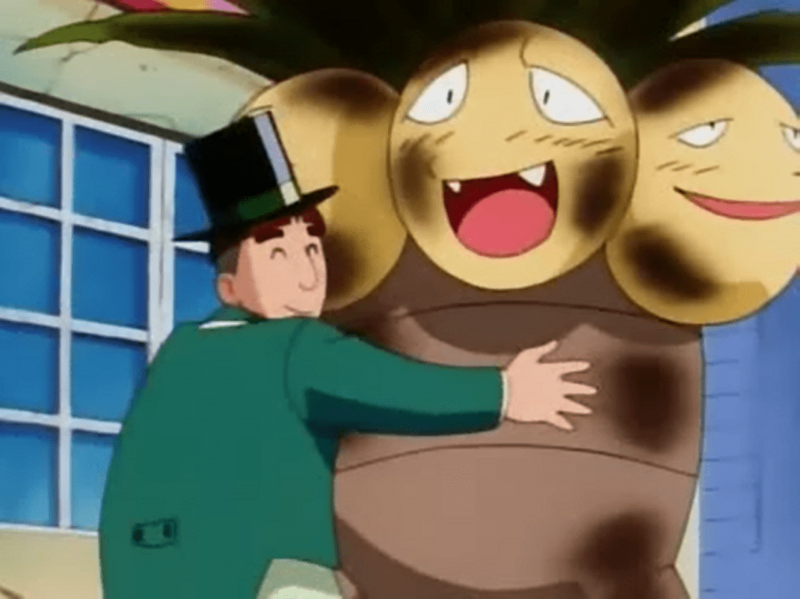 Of the 240 data points we have, Exeggutor occupies 2.9% of the Top 8 decks, and has taken 3.1% of the Championship Points available in those Top 8’s. However, once in Top 8, it has converted Top Cut placements into wins fairly well, leading to it having 6.3% of the wins at State Championships. With statistics like that, normally you would want to ignore the deck, as you are more likely not to play against it than you are to play against it. However, Eggs might end up being a special exception, as it is a newer deck, and not only that it was a deck most players were skeptical of for various reasons. I think a lot of players recognized that the deck had some value, but there was some small uncertainties about the deck that kept players away from playing it. However, with some proven success stories, players may be more willing to pick the deck up. Eggs first picked up major attention when Brit Pybas won Arkansas States in week 2 with the deck. However, this was just one result, so players at large weren’t going to just swarm to the deck based on one performance. What this did do was alert some of the higher level players that the deck could take down tournaments, and so some of the top level players picked up the deck for week 3, leading to a pair of Wisconsin players making Top 8 with the deck in Iowa, with Ryan Grant ending up winning the tournament with it. Now we have two wins for Exeggutor, and with that, more players are starting to look at the deck. For week 4, we could see a big meta game shift towards Exeggutor as not only will some top level players play the deck, but now the mid tier and lower tiers of players will begin considering the deck as a legitimate play. It’s very difficult to figure out just how much play Exeggutor will get. I think a realistic scenario is that the deck doesn’t necessarily be something that most players end up playing against in Swiss, but it could end up a deck that ends up taking a spot or two in most of the Top 8’s this weekend. If that happens, while Exeggutor wouldn’t be one of the most popular decks, it very well could be the gate keeper deciding whether someone is able to win the tournament or not based on whether they can beat it in top cut or not. Before we can start talking about how to beat Exeggutor, it would be good to look at what Exeggutor decks have been playing so that we know what tools they are using and can work on countering the deck based on the weak spots to the cards in the deck. The strategy of this deck is to use Exeggutor PLF’s Blockade attack, which does 10 damage and prevents your opponent from playing Supporter cards on their next turn. Most decks have been highly reliant on playing Supporter cards for their draw engines, so if you prevent someone from playing a Supporter, they won’t be able to draw into the resources they need to setup and do damage. Think about all of those games that you lost to not drawing a Supporter, that is every game against Exeggutor. As the attack only does 10 damage, it needs to be augmented with damage modifiers. The deck often plays Muscle Band to turn it into a 30 damage attack. It generally plays Muscle Band over Silver Bangle, as Muscle Band can work against stuff like Mini Yveltal which could become a big problem if you are only doing 10 damage a turn against it. 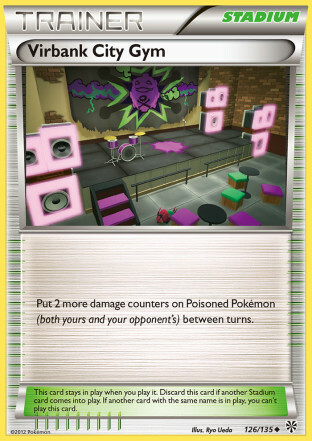 The deck also plays Hypnotoxic Laser and Virbank City Gym, which brings the damage dealt in one turn up to 60 if you hit all the cards for it. Most lists will play either a 4-4 or 3-4 line of Exeggutor. As far as other staple Pokemon, Virizion EX is played in the deck to prevent your opponent from inflicting Exeggutor with a status condition. This allows Exeggutor to stay alive longer by not being affected by additional Poison damage, and you won’t miss a turn of Blockade because your opponent got your Exeggutor to stay asleep from Hypnotoxic Laser. Genesect EX is played in the deck along with Plasma Energy to gust your opponent’s Pokemon with Red Signal. Outside of those, Empoleon DEX is probably the most popular inclusion in the deck, brought onto the field via Archie’s Ace in the Hole. The deck plays 2-4 Battle Compressor and 4 VS Seeker, so similarly to Flareon and Night March, it isn’t too difficult to get Empoleon on the field. There are three notable techs that players have been using in the deck. The first is Dragalge FLF, which prevents something that is poisoned from retreating. I know Brit didn’t play it in his list, but Ryan did play it in his list. Mr. Mime PLF is a good tech to prevent bench damage, which can be important as Exeggcute only has 30 HP. From my experience with the deck, it would probably lose most of the time to Landorus EX decks without Mr. Mime, but it beats it easily if you do include Mr. Mime in your list. 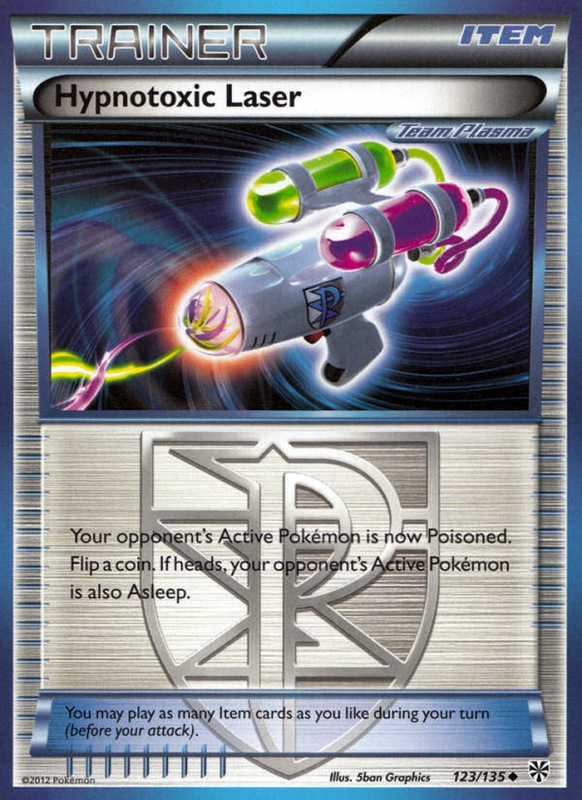 Lastly, Munna BCR has seen some play to give you an additional opportunity to put your opponent’s Active Pokemon to sleep beyond Hypnotoxic Laser. The deck’s draw engine is very similar to that of a Flareon or Night March deck, playing 4 Professor Juniper, 1 Archie’s Ace in the Hole, 4 VS Seeker, 4 Acro Bike, and a Jirachi EX. From there, some, but not all lists may include a copy of N or Ghetsis. To round out the deck, players include a variety of disruption cards. 4 Crushing Hammer is standard, and most lists will run some combination of Team Flare Grunt and Xerosic. Some lists may also include Enhanced Hammer or Head Ringer. 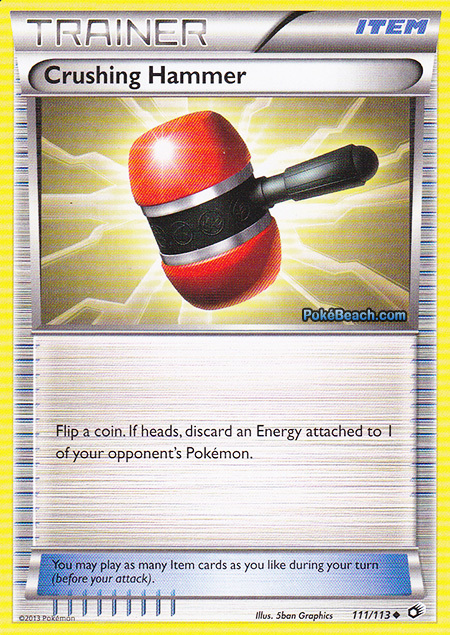 I think a lot of players are still including one Enhanced Hammer, but I’ve been seeing Head Ringer being dropped from lists recently in favor of more Energy, which helps make the deck more consistent. The deck usually plays somewhere around 7-8 Energy, using a mix of Grass, Water, and Plasma Energy. It is a very similar deck to the Seismitoad disruption decks in that the basics of the deck are very easy to build, but the last 5 cards or so can be tough decisions on what to put in and what not to put in based on the decks that you expect to play against for that tournament. Using this knowledge of what the player is including in their Exeggutor deck, we can now look at the weaknesses of these cards to try to better build our decks for countering Exeggutor. Let’s look at a Basic Exeggutor Pokemon line. 4-4 Exeggutor, 1-1 Dragalge, 1 Virizion EX, 1 Genesect EX, 1 Mr. Mime, 1 Jirachi EX, and 1 Empoleon DEX. The list contains 9 Basic Pokemon, although that can easily become 8 if the opponent drops Mr. Mime or the Dragalge line. Now one of the downsides to Exeggutor decks is that it is reliant on evolving through a 30 HP Basic Pokemon in Exeggcute. As it wants to play a lot of these so it has extra Exeggcute to evolve through, it is one of the decks most likely to be donked in this format. The way that you would donk Exeggcute is by playing Hypnotoxic Laser along with Virbank City Gym to do 30 Poison damage on the first turn of the game. For an Exeggutor deck playing 8 Basic Pokemon, it has a 25.1 percent probability of starting lone Exeggcute. The version with 9 Basic Pokemon has a 19.3 percent probability. These aren’t that high of numbers, but they are significant enough. As players go first in roughly half their games, an Exeggutor player has 12.5% probability of starting lone Exeggcute going 2nd with 8 Basics, and a 9.6% probability if they play 9 Basics. This means that on average, an Exeggutor deck will start lone Exeggcute going second about two times in seven rounds (assuming average match of 2.5 games). This can be an effective strategy to get off to a quick prize lead against Exeggutor decks. The best card to do this would be Landorus EX, which would be able to knockout two Exeggcute on the first turn of the game with its Hammerhead attack. If Landorus EX is allowed to snipe the bench, it becomes very difficult to setup Exeggutor, as you will be losing Exeggcute before they can evolve. This strategy is easily countered with Mr. Mime. Your opponent would then have to draw into their Silent Lab if they wanted to snipe the benched Exeggcute, and most Landorus EX decks are usually just playing one of these. For this reason, it’s hard to see why any Exeggutor player would opt to not play Mr. Mime in the deck. From my experience with Exeggutor, if it plays Mr. 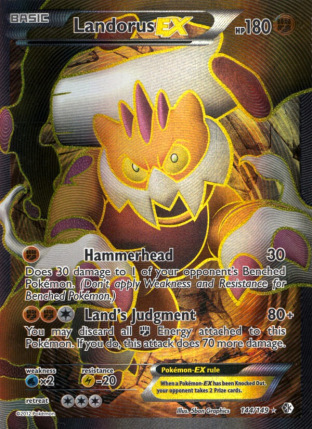 Mime, it is easily able to stabilize against Landorus EX decks and take control of the game once it gets the Supporter lock going. The most obvious strategy that players will look to is using something other than Supporters to draw through their deck. There are a few different ways to do this – Items, Abilities, and Attacks. I think Item based draw is what players would first look to in countering Exeggutor. 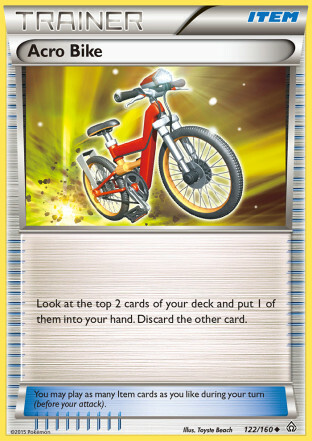 The most common cards that would be used would be Acro Bike, Bicycle, and Roller Skates, the top three Item based draw cards in the format. These are fairly straight forward cards, as they have all seen play in a variety of decks so most players will be comfortable using these cards. The trouble with using these cards is that they negatively impact your consistency against decks that utilize Seismitoad EX. ~42 percent of the meta game uses Seismitoad EX in a big way, so on average, in about 2-3 of your matchups, you would be negatively impacting your results by building your deck with more Item based draw. Ability based draw is nice as it can be used every turn of the game, and you don’t really need extra cards to make use of these Abilities. The most popular Pokemon with draw Abilities are Slurpuff PHF, Electrode PLF, and Empoleon DEX. All of these cards come with their own issues against the deck. 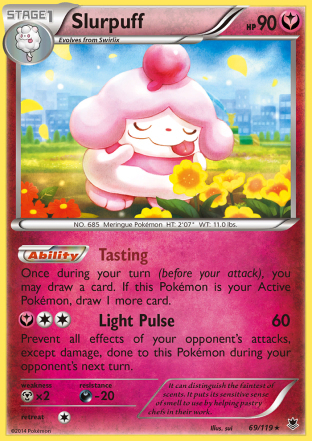 Slurpuff PHF is just a single card of draw per a turn (two when it’s Active, but you don’t want to leave it Active as then your draw support would be in danger of getting knocked out), so that usually isn’t enough. Electrode PLF draws until you have four cards in your hand, and that might not work too well, as it could cause you to have to play down Pokemon you don’t want to get Red Signal’d up, or your hand could clog with Supporters, shutting off the draw if you don’t get something like an Ultra Ball to discard the Supporter cards. Empoleon is probably the most effective, but its issue is that you have a very narrow window to get it into play. Most Eggs decks will get their first Blockade off on turn 2, so you have just two turns to get it into play going first, and just one turn to get it into play going second, as you use Archie’s Ace in the Hole to put it into play, and that gets shutoff from Blockade. The last option, something that hasn’t seen a lot of play recently, but which is probably the most effective if you take this type of strategy is using an attack that lets you draw cards in some shape or form. There are a lot of different cards that can do this for you, and they come in a variety of Energy types, and there are a few Colorless options, so every deck will have something to work with. Manaphy PRC has Deep Sea Swirl for [W] which lets you shuffle your hand into your deck and draw 6 cards. Yanmega PHF is a Stage 1, but has the same attack in Windfall for a [G]. 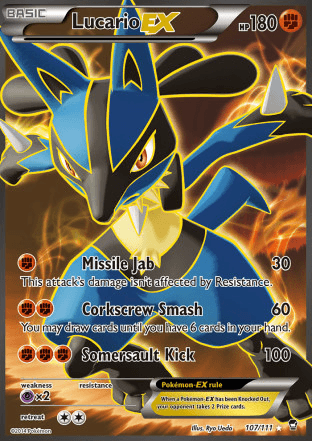 Lucario EX’s Corkscrew Smash takes [F][F] to use, but does 60 damage and lets you draw until you have six cards in your hand. 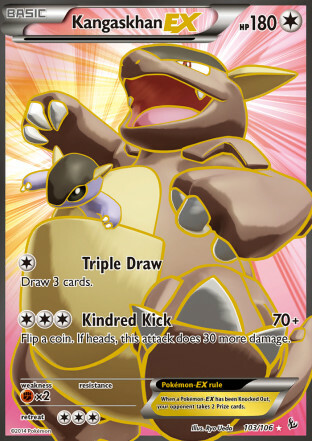 Kangaskhan EX has Triple Draw for [C] and lets you draw 3 cards. Lunatone XY has Double Draw for [C], and lets you draw 2 cards. Virizion LTR also has Double Draw for [C]. Mew BW98 has Psychic Exchange for [P] which lets you shuffle your hand into your deck and draw 6 cards. Spirtomb LTR’s Hexed Mirror for [C] lets you shuffle your hand into your deck and draw until you have the same number of cards as your opponent. Tropius PLB has Return for [G] which does 10 damage and lets you draw until you have 6 cards in your hand. 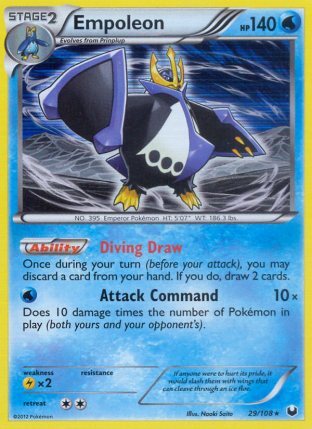 Tornadus EX PLF has Windfall for [C] which lets you shuffle your hand into your deck and draw 6 cards. Espeon PLF is a Stage 1 with Psy Alert for [C], which does 20 damage and lets you draw until you have 6 cards in your hand. Lilligant BCR is a Stage 1 with Return for [C], which does 20 damage and lets you draw until you have 6 cards in your hand. Furret XY is a Stage 1 with Buried Treasure Hunt for [C]. It lets you look at the top 4 cards of your deck and put two in your hand, and discard the other two. I am not that big of a fan of the Shuffle and Draw ones, as you may just end up drawing into the same cards you already had. As most Exeggutor decks aren’t heavily reliant on N, I think building your hand up with one of the cards that lets you draw additional cards without shuffling your hand in are the most effective. I think Kangaskhan EX and Virizion LTR would have to be the top two cards you could pick out of this set of cards to put into your deck. Both attack for [C], so they can fit into every deck. I think I would rather play Kangaskhan EX over Virizion LTR, as I don’t think giving up the extra prize would be too damaging, and I think drawing more cards would have much greater impact on the matchup. These cards don’t outright win the matchup, but they’re simple techs that are retrievable by an Ultra Ball that can noticeably improve the matchup. The idea behind them is to allow you to draw into enough Pokemon and Energy to properly execute a semblance of your strategy in the game, instead of just losing the game to not drawing much of anything. Even if these cards lose their Energy for the turn, they’re just a single attachment away from attacking again, and some decks work very well with having Energy in the discard. 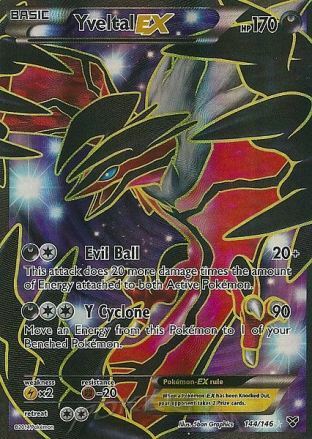 Something like Yveltal EX decks for example can then transition to Yveltal XY and use Oblivion Wing, and accelerate that previously discarded Energy onto one of their benched Pokemon. An interesting note about Kangaskhan EX is that it does have a Mega. M Kangakshan EX has 230 HP, a Fighting weakness, and its attack Wham Bam Punch costs [C][C][C] and does 100 damage, and then you flip a coin until you get tails and the attack does an additional 30 damage for each heads. If you choose to put Kangaskhan EX, it’s worth considering also putting in the Mega for other matchups. If you’re playing one of those Donphan decks that only uses Korrina for Pokemon search, you have a couple options. There is Lunatone, which has Double Draw, but I’m not a fan of this as it has a Grass weakness, so Exeggutor can actually OHKO it with a Hypnotoxic Laser making it only a one time use card. What might be more effective is to use Lucario EX, and search it out on the first turn of the game. If you can setup Corkscrew Smash and use that to draw into Phanpy’s, Donphan’s, Robo Substitutes, and more Energy you will be in pretty solid shape as Donphan works very effectively against Exeggutor once setup, it’s just a matter of finding your Phanpy and Donphan’s fast enough to compete with the deck. Nearly half of the average Exeggutor deck is Item cards, so locking them from being able to use their Ultra Ball, Hypnotoxic Laser, Crushing Hammer, Battle Compressor, and VS Seeker can really hurt them. There are two options for quality Item lock in this format, and those are Seismitoad EX and Trevenant XY. Seismitoad EX, as previously mentioned, is already played in ~42 percent of decks being played right now. Seismitoad EX can put Exeggutor decks under a lot of pressure, and forces them to have strong opening turns to the game, otherwise they can easily be shut out of a game. If the Eggs deck doesn’t hit their Team Flare Grunt or Xerosic at the right time, the Item lock can be too devastating for them to overcome. Based on the testing games I have done, Exeggutor does have the edge in this matchup. 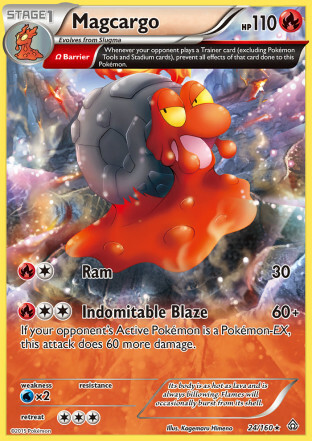 However, something like Amy Simon’s Seismitoad EX deck which uses a lot of Item draw along with Garbodor DRX would have a better matchup against Eggs than most of the Toad decks that have been seeing play so far. The other option is Trevenant XY. This has only seen play as part of Gengar EX decks, which have had a minuscule showing at State Championships so far. 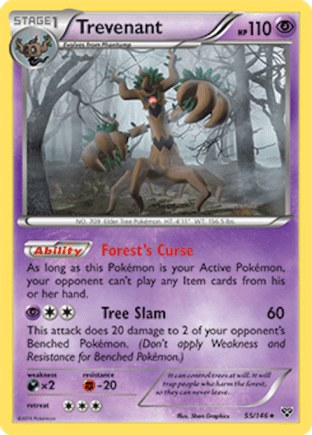 Trevenant’s Forest Curse Ability prevents your opponent form using Item cards when Trevenant is Active. Trevenant could be teched into decks as a 1-1 line. The idea would be to evolve into Trevenant to shutoff Eggs’ Lasers, Crushing Hammers, and VS Seeker, greatly slowing them down. With a Muscle Band, they would take a 4HKO on Trevenant, and without it, an 11HKO, which could buy you lots of time to draw into resources and build up Energy on Pokemon to attack with. Your opponent can use Red Signal to get around Trevenant, but without access to Ultra Ball they may have difficulty finding Genesect EX under the Item lock. You can also use a similar strategy with Trevenant against Seismitoad EX/Hammers decks. The downside to Trevenant is that you wouldn’t want to devote too much deck space to it, and you would need to draw the right cards early to get it out and Active for it to have a big impact. It’s important to remember here that State Championships are in a Best of 3 Format, so even if it doesn’t work every time, if you get it to work enough of the time it could be worth the space. Exeggutor decks are highly reliant on using Crushing Hammer to disrupt an opponent’s Energy, as well as to use Hypnotoxic Laser to speed up knockouts. Pokemon with the Ancient Trait Barrier would be able to shut off the effects of these cards on them. For this, I want to just look at one Pokemon in particular, which is Magcargo, which has 110 HP and is a Stage 1 Pokemon. Its Ram attack does 30 damage for [R][C] and its Indomitable Blaze does 60 damage, plus 60 more damage to EX Pokemon for [R][C][C]. With its Barrier Ancient Trait, it can’t be hammered or lasered, so it can easily run through a few Exeggutor for you. It would be at risk of getting OHKO’d by an Empoleon, but that would give you a turn to use a Supporter. I don’t think it’s worth including in anything except in a Fire deck (which aren’t seeing play right now), so you would just be teching this in along with a Fire Energy or two in the current meta. I don’t think it aides in enough other matchups, and would take up too much space to be useful. Primal Groudon EX is also an option, but it takes much longer to setup, and it has a Grass weakness, so a few Blockade and a Stomp could lead to it getting knocked out very easily. Exeggutor decks are reliant on attacking with Blockade every turn, as that is what provides them with their Supporter lock. However, there are some attacks that prevent a Pokemon from attacking. A lot of Exeggutor decks have been skimping on, or cutting Switching cards entirely, and with two retreat, just retreating the Exeggutor won’t often be an option, and losing two Energy to do so is highly detrimental anyhow. A number of Pokemon have attacks which can prevent your opponent from attacking on the next turn of the game. One of these is Simisage, a Stage 1 Pokemon that has Torment for [C] and does 20 damage, and lets you choose one of your opponent’s attacks and they can’t use that attack during their next turn. Crygonal PLF is another one of these Pokemon, which has actually been used in a succesful M Manectric EX to make Top 8 at a State Championship. 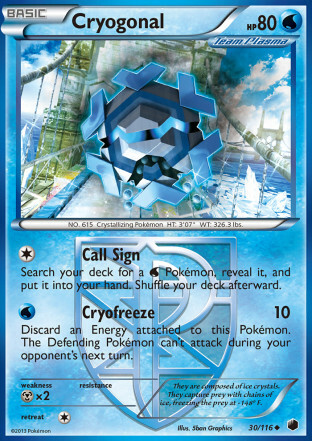 For [W] its Cryofreeze attack prevents the Defending Pokemon from attacking at all during your next turn all together, but you have to discard the Energy. This can go in M Manectric decks that play Water Energy, as well as Primal Kyogre decks. Flareon decks also play Audino, which can potentially be used to make them lose a turn of attacking with Hip Bump. One neat thing about using this strategy is that it can also be effective against Seismitoad EX to prevent it from using Quaking Punch to try to get a turn of using Items. A deck like Exeggutor is highly dependent on getting additional damage from Hypnotoxic Laser, so if you can minimize the damage they are doing, you will get more turns out of the game, giving you more turns to get resources and setup attackers. This is one of the reasons why Virizion EX/Genesect EX is so good against Exeggutor. It can shutoff the Poison damage to slow down the game, and then once it gains a turn of attachment on Exeggutor, it’s able to accelerate more Energy. Virizion EX can be slipped into Night March as well if you make Grass Energy your Basic Energy type. Mew EX can easily OHKO Exeggutor, and if you can make it last 3-4 turns, that is a lot of prizes that you’re getting out of your Mew EX. If you do choose to go with Virizion EX and Grass Energy in Night March, one interesting thing you can do is also play Genesect EX, and use Emerald Slash for a single Grass Energy with Mew EX onto Genesect EX for the Seismitoad EX matchup, and then just attack with Genesect EX. 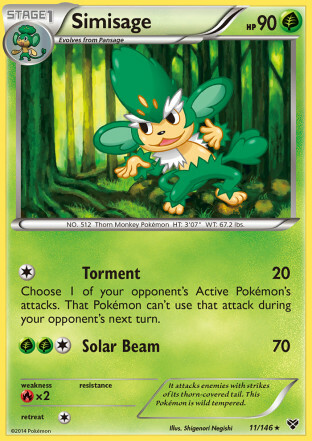 Additonally, you could play Shaymin EX and use Revenge Blast for just a single Grass Energy when Dimension Valley is in play, which could be a strong late game attack against Exeggutor decks after they use Lysandre’s Trump Card on you. Just removing their Stadium from play will slow down their Poison damage as well. 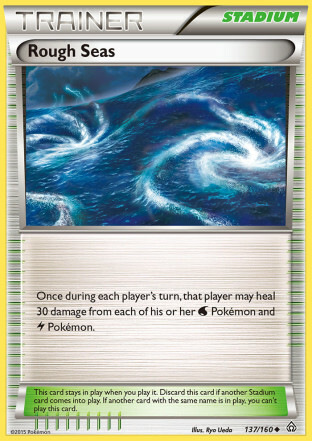 If you have Rough Seas in play, you can negate most of their attack damage, especially with Lightning Pokemon (Water Pokemon less so since most are Grass weak these days). The aforementioned M Manectric EX deck with Rough Seas would be very hard to take a knockout against when Rough Seas is in play. Raichu can also be difficult to knockout in decks that play Rough Seas. Lastly, you can also play Keldeo EX along with Float Stone to break out of the status conditions. This fits well in Primal Kyogre decks, as well as Yveltal EX/Garbodor DRX decks. You have to be careful though, because if you only have the one Keldeo EX, as you do in an Yveltal deck, you are at risk of getting it Red Signal’d Active and locked Active because of Dragalge. This of course can be offset by a Switch if you have one in hand. 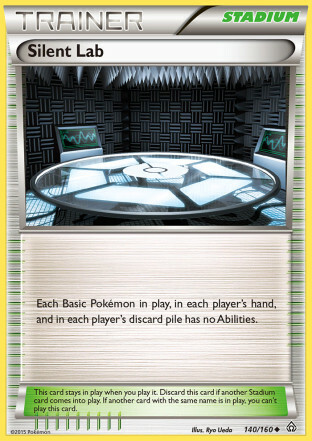 Steel Shelter can be played in Metal decks to shutoff all Status Conditions to your Metal Pokemon. Sparkling Robe is another option. You could attach it to something like an Yveltal EX making it difficult to knockout. This could be removed with Xerosic however. An effective strategy against these decks that are highly dependent on Items for their draw engine is to disrupt their setup. If you disrupt their setup, they might just never get setup, and then you can take an easy win. First, lets look at their draw engine again. They most likely are playing five Supporters, and then the Jirachi EX. One of those Supporters, Archie’s Ace in the Hole isn’t always able to be used, so in most cases they will be reliant on their 4 Professor Juniper and 1 Jirachi EX to get things swinging. With a turn 1 Silent Lab, you can shutoff Jirachi EX’s Stellar Guidance, effectively limiting them to the 4 Professor Juniper in their deck, and maybe the 1 N or Ghetsis they may also play. 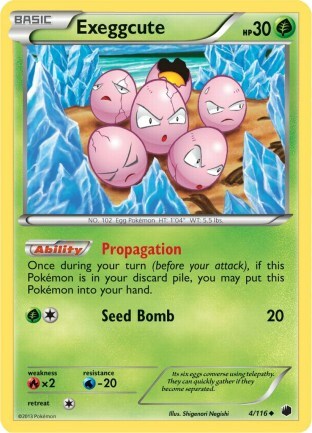 Silent Lab would also prevent your opponent from using Propogate, so Battle Compressor can no longer be used to find their Exeggcute, which can further stunt their setup. Silent Lab would also shutoff Verdant Wind, so you might be able to gain a turn of Supporters by getting their Exeggutor to stay asleep with a successful Hypnotoxic Laser. Similarly, Ghetsis could be used to disrupt them on the opening turn of the game. 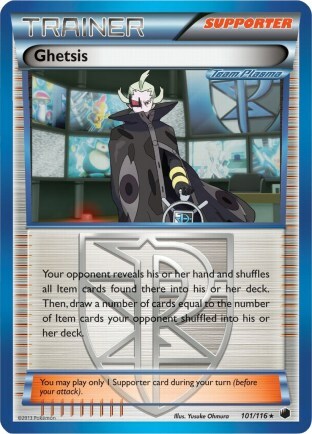 It can be accessed turn 1 via Jirachi EX, or Battle Compressor into VS Seeker, or just drawing it in your opening hand. This would limit them to a 47.46% probability of opening a usable Supporter or Jirachi EX, or if they play the 5th Supporter, they would have a 54.14% probability of maintaining a Supporter out in their opening hand. What is great about Ghetsis is that it also gets rid of their Ultra Ball, Acro Bike, and Hypnotoxic Laser, which can severely limit their setup even more. Taking away the Items from their hand also makes it so only divine intervention will allow them to get off a successful Archie’s on turn 1. If you are able to play Ghetsis on the first turn of the game going first, there is a very high probability that your opponent doesn’t even get to play much of a game. One of the most effective strategies is to outpace their hammers with Energy. This is the reason why decks with Energy acceleration attacks are some of the best against Exeggutor. Straight Fairy Aromatisse decks are able to build a lot of Energy on their field with Geomancy. 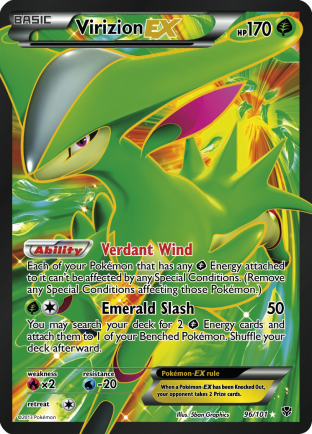 Virizion EX/Genesect EX decks can accelerate Energy with Emerald Slash as soon as they get a second Energy attachment on Virizion EX. M Manectric EX can use Turbo Bolt if they get the second Energy attachment also. Bronzong decks can use Metal Links to accelerate Energy, and if they get Keldeo EX and Float Stone down early enough, they can play entirely off their field. 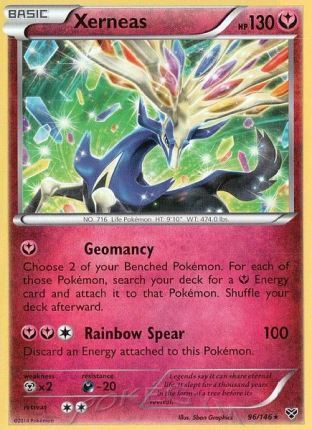 Yveltal XY can accelerate Energy from the discard pile with Oblivion Wing too. A lot of these matchups just depend on how well these decks get Pokemon down during their turns with Supporters and then on how well the Exeggutor player flips their hammers, and whether these decks draw into enough Energy to attach. Using Professor’s Letter is a good way to get multiple Energy in hand to make sure you have Energy to attach for your turn. This is a very weird strategy to use, but one that could be effective if your deck plays Grass Energy. 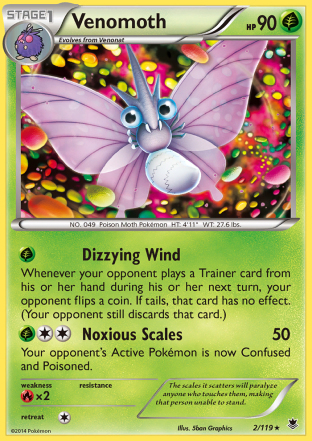 Venomoth is a Stage 1 Pokemon and it has an attack called Dizzying Wind, which costs [G], and makes your opponent flip a coin every time they play a Trainer card during their next turn, if tails the card does nothing and they have to discard it. This can fit into Virizion EX/Genesect EX decks, Flareon decks that play Grass Energy, and Night March decks that play Grass Energy. This would make for some uneasy turns for an Exeggutor deck. They could choose to just stay still, which could hurt them, or decide to go for it and flip coins on their Trainers. If they flipped tails on a crucial VS Seeker or Professor Juniper, that could quickly put them out of the game. 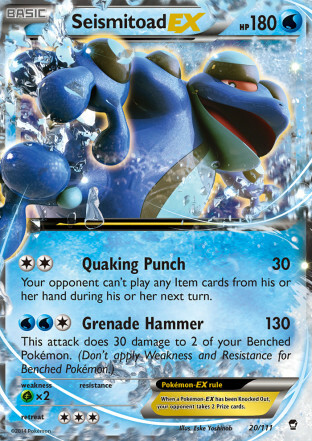 Similar to a lot of the other strategies, this would also be very effective against Seismitoad EX decks. Here is an Yveltal EX/Seismitoad EX that I have been working with for the past week or so that I really like, and I think it is a deck that gives you a pretty strong Exeggutor matchup. The deck uses six of our anti-Exeggutor strategies. It plays Hypnotoxic Laser and Virbank City Gym so it can threaten the donk. It has non-supporter based draw in Acro Bike and Kangaskhan EX. It has the option to Item lock them with Seismitoad EX. It can minimize the Poison damage from adding up with Keldeo EX and a solid line of Switching cards, as well as Darkrai EX’s Dark Cloak for free retreat. It can disrupt their setup with Ghetsis and it can try to outpace the Energy removal of Crushing Hammer with mini Yveltal for Energy Acceleration. Exeggutor is a scary deck to play against, it’s very easy to lose to it if you’re not prepared. However, it is not the unbeatable deck that some players make it out to be, and it can be countered, you just have to choose to do so. It is a very good deck in a meta game in which no one prepares for it, and if players don’t choose to player the counters to it, than it very easily can win more State Championships. These strategies all vary in their viability for actually fitting in decks in the current state of the meta game, but I wanted to highlight some more out there strategies, as it can be good to think outside of the box and think about some non-conventional ways to deal with threats to your deck. I think Eggs poses a great threat for the final weekend of State Championships, but if you build your deck with it in mind, I think it is a matchup most decks can overcome.